The Sunshine Coast’s leading Motorcycle Rider Training & QRide Assessment Centre. Queensland Motorcycle School is located at the Big Pineapple. Our training centre is not only the biggest centre on the Sunshine Coast but all of Australia, with its very own internal road system that winds through rainforest and alongside fish filled dams. Our classrooms are air conditioned and we have free tea and coffee making facilities. Queensland Motorcycle School was established in 1997. 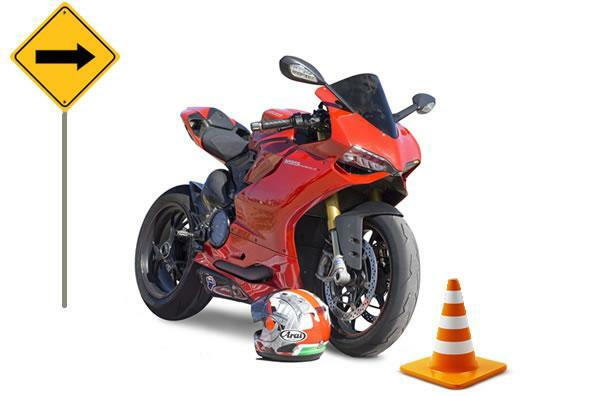 Our motorcycle lessons are presented by our fully Accredited Instructors having over 20 years experience with both on road, race track skills and knowledge. Our philosophy is to teach correct riding techniques and safest road craft skills to establish a sound foundation to start you off on your new motorcycling way of life. Our motorcyle lessons are given by fully accredited instructors who have over 20 years experience with both on road, race track skills and knowledge. Learn how to ride a motorbike with our one on one personally tailored motorcycle rider training. You not only learn at an increased pace but at your own pace. No minimum hours and No contracts, do a lesson or join a class at a time that suits YOU. We accept all major forms of payments. Our Pay as you go hourly rate enables you to train when it suits you. Below you will find our three most popular motorbike riding courses.